Wish you were here! The dreamlike imagery of a crowd gazing in wonder up at a giant aquarium full of fish layered over the modern Atlanta landscape. 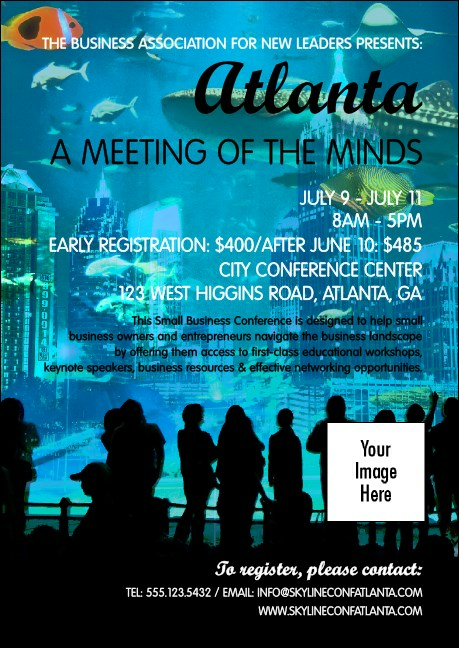 Use the Atlanta Postcard to announce upcoming events, and personalize it with your organization's own custom image or logo. Dreaming of great event sales? Let TicketPrinting.com turn your dreams to reality.